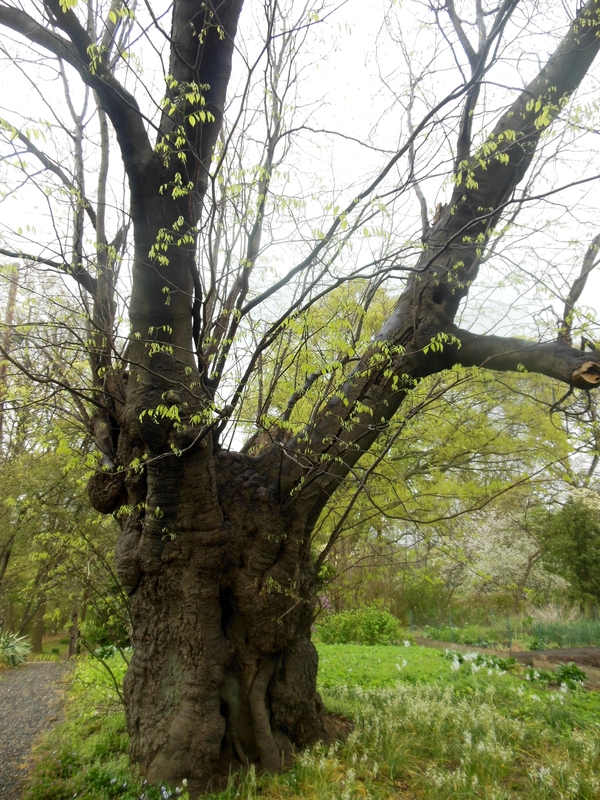 On a sunny April morning, I sat transfixed as I listened to Joel Fry, curator of Bartram’s Garden in Philadelphia, tell the tale of a Scottish schoolteacher named Alexander Wilson whose neighbor, William Bartram, encouraged his fascination with birds and nature. 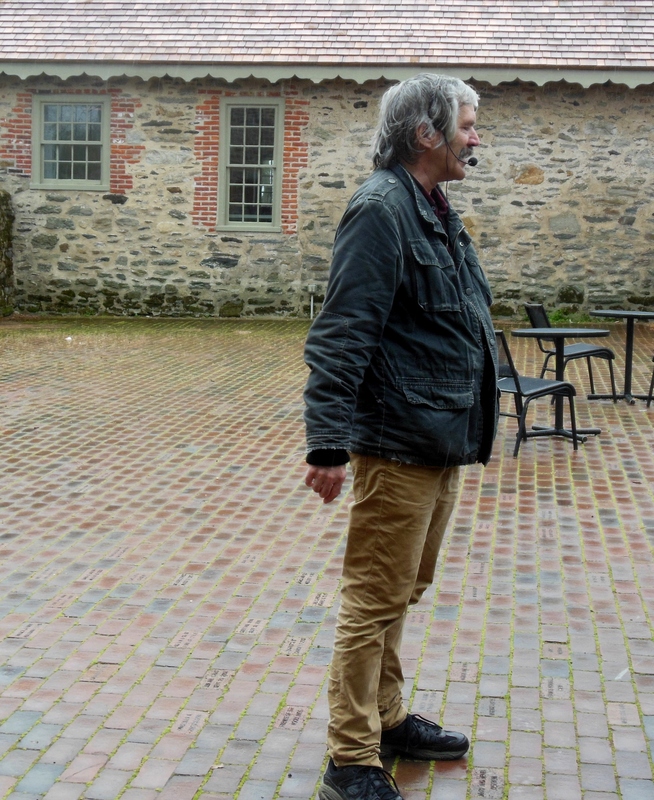 The rain picked up speed, and so did Mr. Fry’s enthusiasm for the oldest surviving botanic garden in North America. 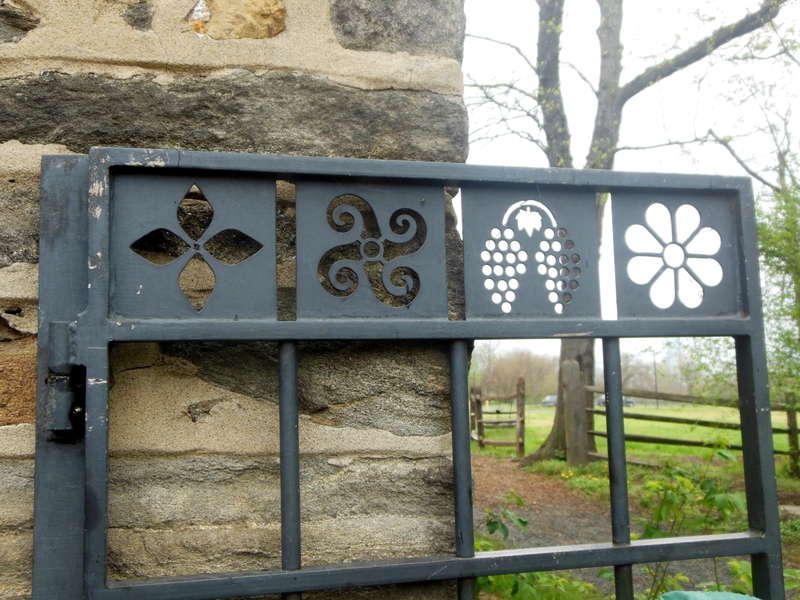 This story begins with a Quaker stonemason named John Bartram, who bought 102 acres of farmland on the west bank of the Schuylkill in 1728. He created a series of terraces that sloped down to the river, filling them with flowers and a kitchen garden. 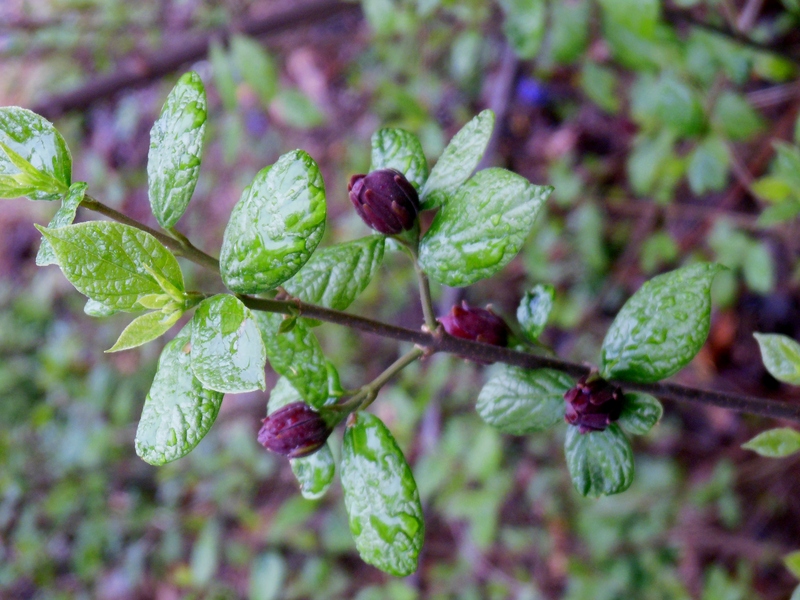 He also grew medicinal plants with some terrific names, like Robin’s Plantain, American Spikenard, Common Boneset, Horsebalm, Devil’s Bit, White Colicroot and Lizard’s Tail. 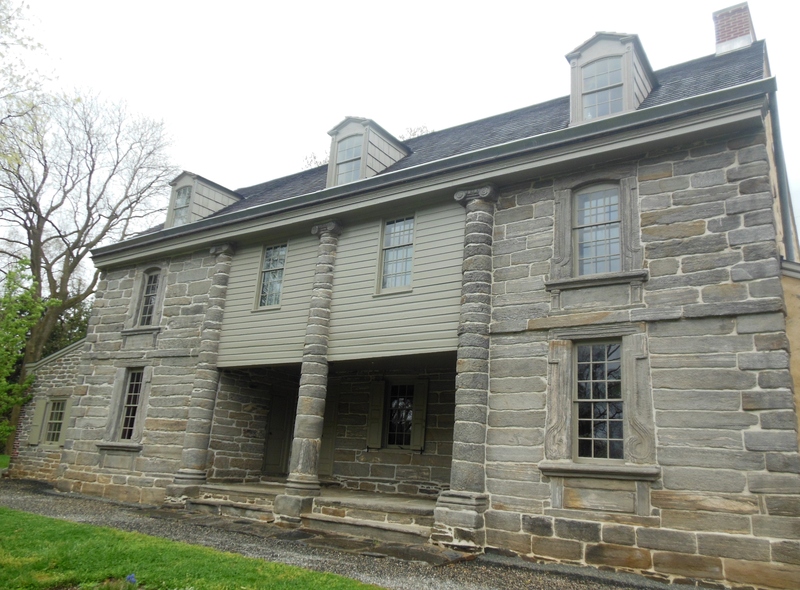 Above the garden terraces, Bartram began building a striking home with Wissahickon schist, a local stone that he quarried himself. 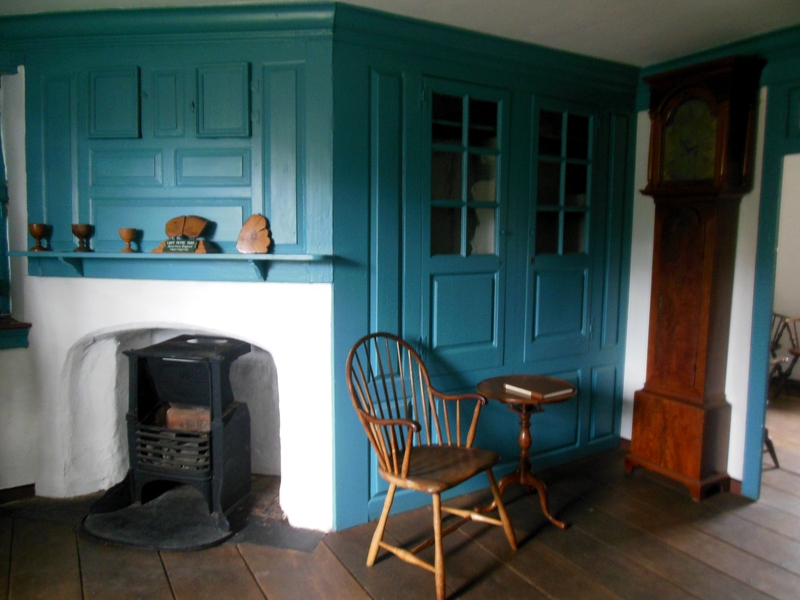 He incorporated the original central portion that dates to 1689, when Swedes settled the Delaware Valley; he made additions in stages over the next 40 years. 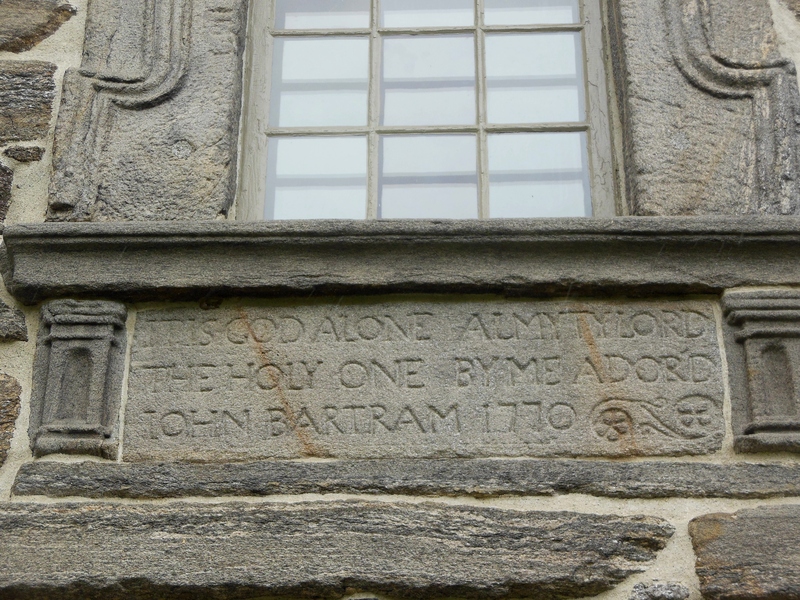 Bartram carved his initials, along with those of his wife, on the gable end of the house in 1731. 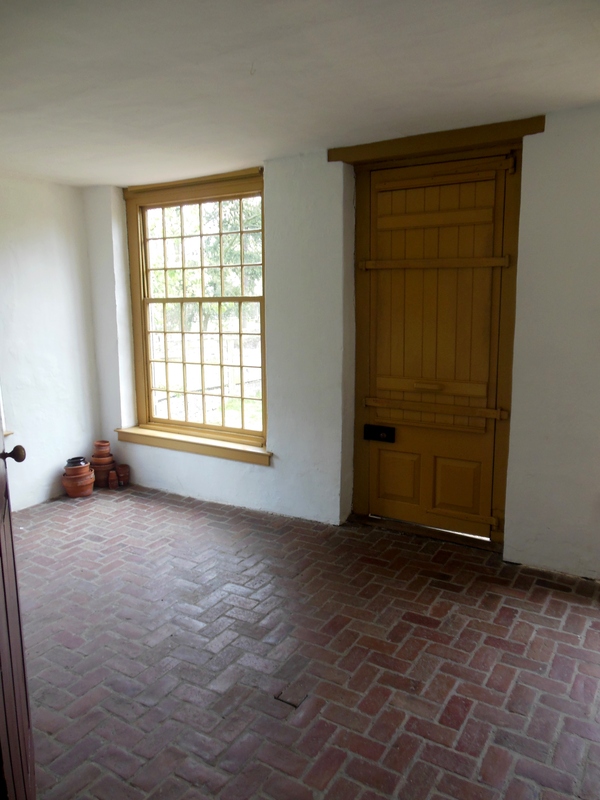 He added a kitchen and extended the roof of the house in 1740. Major renovations took place in 1770, when the 71-year-old Bartram constructed a second-floor sitting room and bedroom, added three stone columns to the facade and carved the inscription, “It is God Along Almyty Lord the Holy One by Me Ador’d,” between the upper and lower windows, both surrounded by more decorative carving. 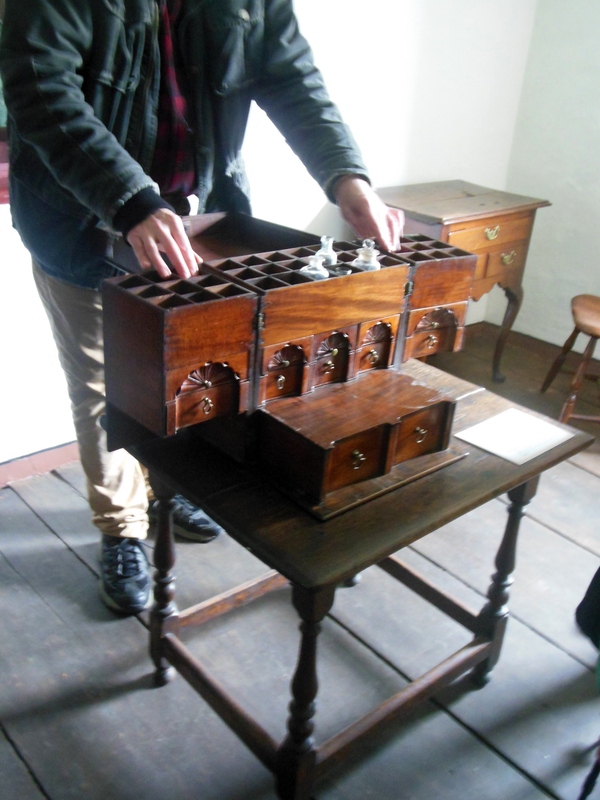 and original pieces donated by Bartram family members, including a medicine chest attributed to Bartram’s cabinetmaker brother and used by his two pharmacist sons and his doctor grandson. 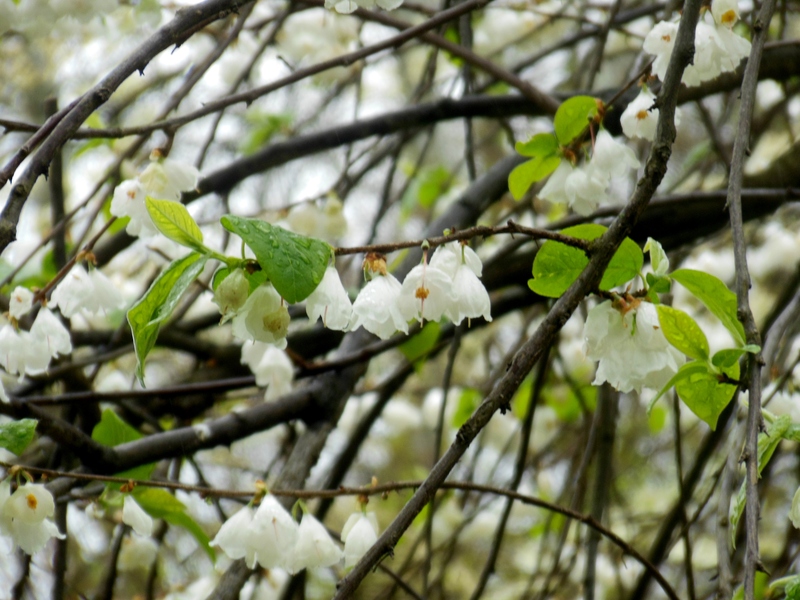 “Whether great or small, ugly or handsome, sweet or stinking, everything in the universe in its own nature appears beautiful to me,” Bartram said. Curious about science and the natural world, he began traveling throughout the colonies, gathering and bringing home a varied collection of native plants. He kept a seasonal diary, observing how his garden fared throughout the year as he experimented with soil, grafting, hybridization and crop rotation, sharing those observations in correspondence with horticulturists both at home and abroad. One of those correspondents was Peter Collinson, a London cloth merchant whom Bartram contacted around 1733. Well-connected to British botanists, gardeners, nurserymen and nobility, Collinson arranged funding for the self-taught expert to hunt for plants that would satisfy the European demand for exotic North American trees and shrubs, including Carolina poplars, sugar maples, magnolias, mountain laurels, azaleas and rhododendrons. Collinson also facilitated the distribution of seeds and plants Bartram propagated from his travels throughout Britain, such as at the Chelsea Physic Garden and Kew Gardens, and Europe. Thus began Bartram’s thriving trade in seeds and plants. Over the next decade, Bartram refined how he packed and shipped the botanical specimens he had collected in wooden crates. To ensure a better success rate, he sent bare-rooted plants without soil, cushioning them in moist sphagnum moss. Hundreds of varieties of plants and seeds were split among the boxes. 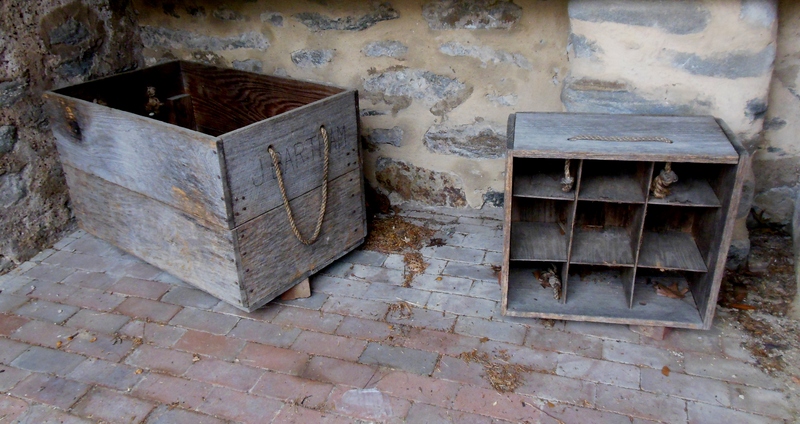 He included a list — first handwritten, then printed — of the crate’s contents. The contents included hundreds of species of everything from North American trees and flowering shrubs like eastern hemlock, catalpa, and Stewartia to curious oddities like the pawpaw, skunk cabbage, and the Venus Flytrap. Acorns and walnuts were packed in moist sand at the bottom of the box. By 1760, business was so good that Bartram added a greenhouse to extend his growing season and to protect exotic Southern plants like cyclamen, jasmine, myrtle, oleander and pomegranate. 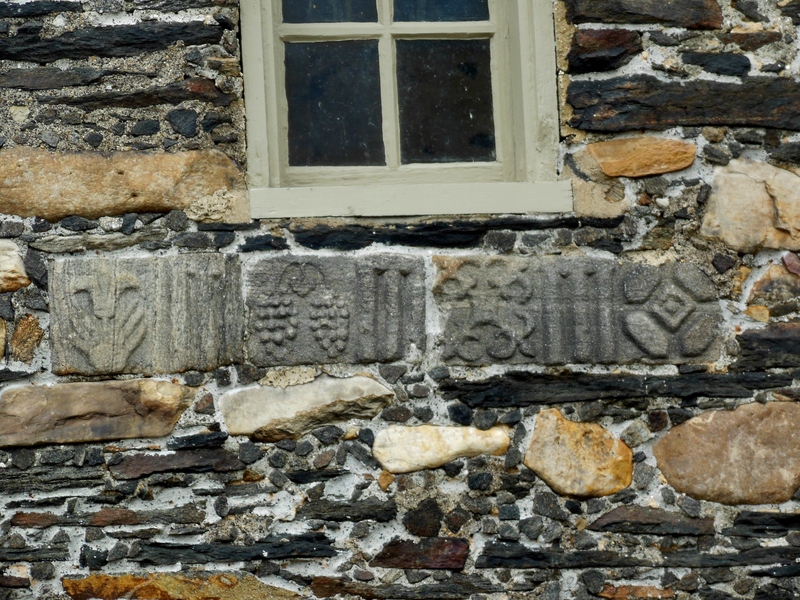 He processed the seeds and plants from his expeditions in a seedhouse he constructed from stone, adorning it with distinctive plant-related carvings. By the mid-1750s, Bartram’s fifth child, William — also known as “Poor Billy” — was accompanying him on plant-collecting expeditions. An artistic adolescent in search of a calling, William learned the principles of plant collection from his father and made botanical illustrations of their finds. In 1773, William went on a four-year expedition through the South. One of his stops was in southern Georgia, to see a tree along the Altamaha River that he and his father had encountered during an 1765 expedition, but had not seen anywhere else. William drew it in flower, collected seeds to bring home, and planted them in his father’s experimental garden, naming it Franklinia alatamaha in honor of his father’s friend, Benjamin Franklin. Cultivating the rare tree saved it from extinction; very hard to grow, with very rigid soil conditions, all Franklinia trees today are descended from those grown by the Bartrams. William’s 1791 account of his trip, Travels through North and South Carolina, Georgia, East and West Florida, became a classic of early American literature that was praised by great European writers like Samuel Taylor Coleridge, William Wordsworth and Johann Wolfgang von Goethe. After John’s death, William and his brother, John Jr., continued their father’s work by establishing a commercial nursery that eventually had ten greenhouses, selling more than 1,400 varieties of native plants and 1,000 exotic plants through a published catalogue considered one of the first botanic lists of North American plants. The Bartrams’ customers included delegates to the 1787 Constitutional Convention, including James Madison, Thomas Jefferson – who made over 30 visits to the garden – and George Washington, who described the garden as “not laid off with much taste, nor was it large;” everything seemed to be “jumbled together in heaps.” Washington ordered hundreds of trees and shrubs from the Bartrams for his garden at Mount Vernon. Bartram’s Garden became a pilgrimage destination for customers and curious visitors who came to see the famed traveling botanist. William entertained his guests under an arbor; the recreated version features twining wisteria vines. After William died in 1823, his niece, Ann Bartram Carr, and her husband, Robert, continued the family business. 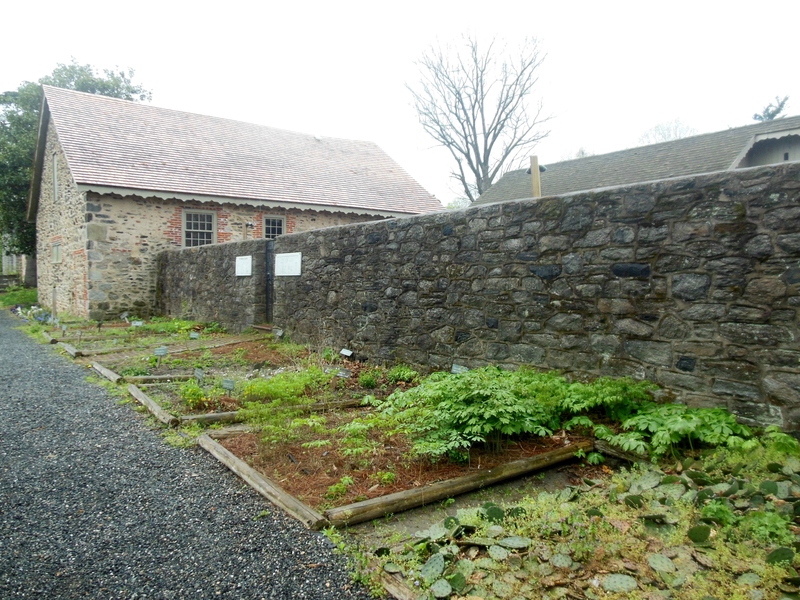 Last year, a formal garden that Ann planted at the home around 1820 was restored. Shaded by a Bartram oak, an apparent hybrid John Bartram found growing on the property when he bought it, Ann’s garden is filled with varieties of plants that were just introduced to America at the time, including Asian magnolias, camellias, tree peonies, striped tulips, lilacs, crepe myrtles, and roses. The Carrs also added a Chinese Chippendale porch to the home’s formal entrance, transforming the farmhouse into a classical garden villa. In 1850, inventor/engineer Andrew Eastwick bought the garden and made it a summer pleasure garden, offering ice cream, refreshments and steamboat excursions. 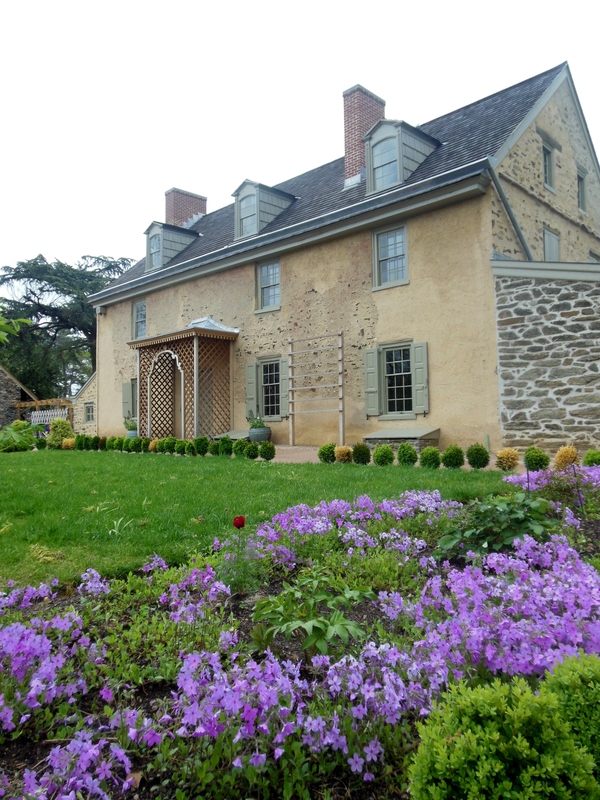 In 1891, the City of Philadelphia bought the house and garden; Bartram descendants helped to preserve it as the museum it is today. 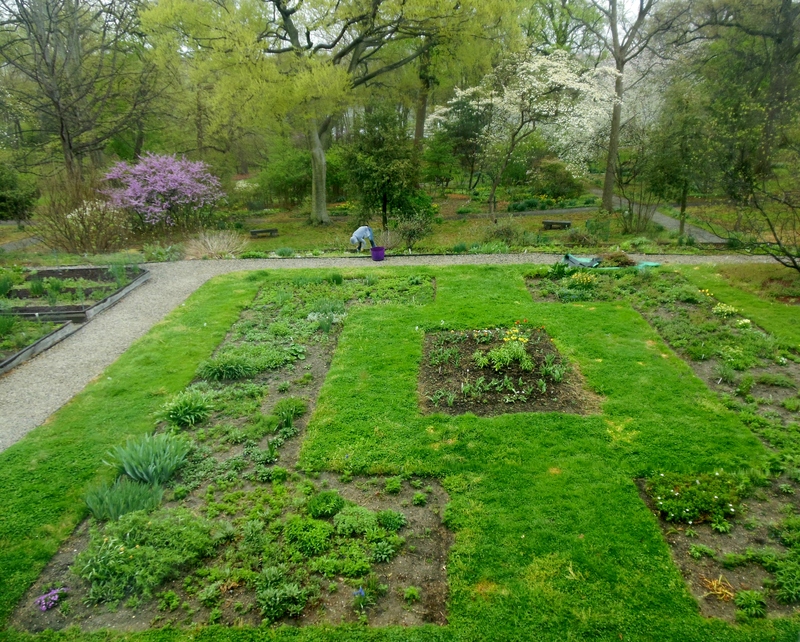 The core of the Bartram’s Garden collection are exotic plants and native plant species of eastern North America that the Bartram family collected, grew and studied from 1728 to 1850. Exceptional examples include a ginkgo tree sent from London in 1785 and believed to be the oldest ginkgo tree in North America. 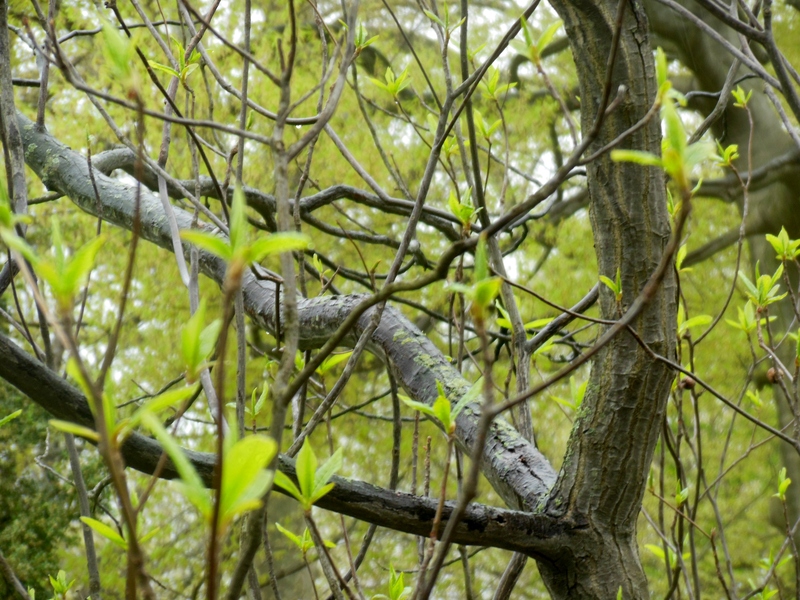 A yellowwood tree sent to William Bartram at the beginning of the 19th century continues to go strong, despite suffering storm damage. and Carolina sweetshrub, whose flowers evoke a cinnamon-and-pineapple scent, lining the path to the Bartram house. 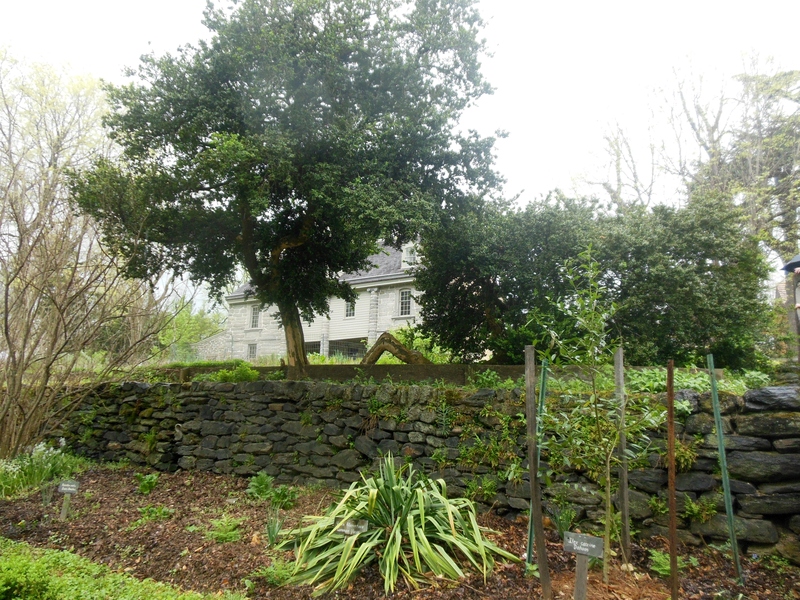 The Bartrams introduced the first tea plants in Philadelphia, and the tender plants still grow next to fig and pomegranate trees alongside a stone wall in the garden today. A remnant of John’s original artificial pond holds wetland plants like the Bartrams collected, such as swamp azalea, bog plants, pitcher plants and a miniature cranberry bog. 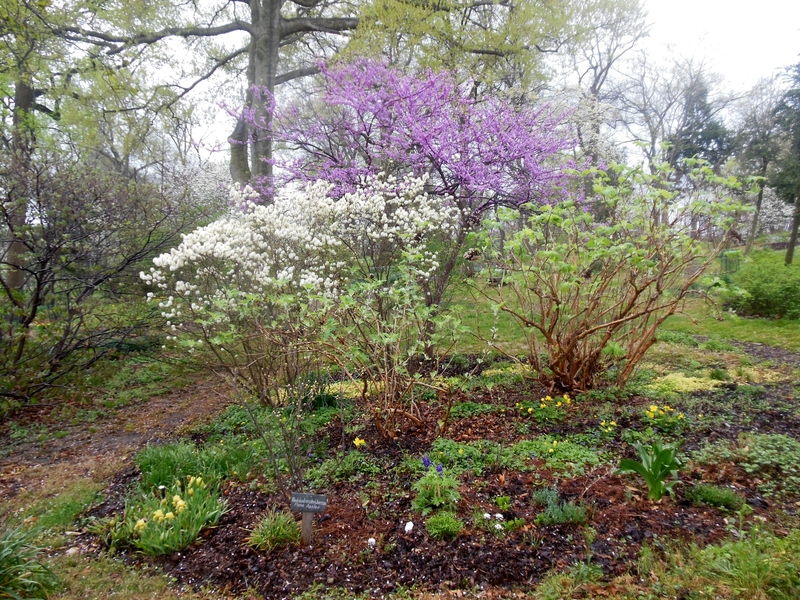 A corridor of the garden contains plants William saw on his famous Southern travels: flame azaleas; redbuds; Fothergillas; oakleaf hydrangeas; delphiniums; irises; Buckeye bottlebrush trees; rhododendrons and shrub honeysuckles. For more on the Bartrams and their garden, read Fields of Vision: Essays on the Travels of William Bartram, edited by Kathryn E. Holland Braund and Charlotte M. Porter; William Bartram: The Search for Nature’s Design: Selected Art, Letters, & Unpublished Writings, edited by Thomas Hallock and Nancy E. Hoffmann; Joel T. Fry, associate editor; Bartram’s Boxes Remix, by jurors Leah Douglas, Joel T. Fry and Mira Nakashima; introduction by Richard R. Goldberg, essays by Albert LeCoff and Joel T. Fry, and curatorial statements by Robin Rice; and Historic American Landscapes Survey: John Bartram House and Garden; Bartram’s Trail Revisited: Footprints Across the South, by Jim Kautz; Following in the Bartrams’ Footsteps: Contemporary Botanical Artists Explore the Bartrams’ Legacy, by the American Society of Botanical Artists and Bartram’s Garden; Alexander Wilson: The Scot Who Founded American Ornithology, by Edward H. Burtt, Jr. and William E. Davis, Jr.; The Flower Hunter: William Bartram, America’s First Naturalist, by Deborah Kogan Ray; America’s Curious Botanist: A Tercentennial Reappraisal of John Bartram, 1699-1777, edited by Nancy E. Hoffmann and John C. Van Horne; Founding Gardeners: The Revolutionary Generation, Nature, and the Shaping of the American Nation and The Brother Gardeners: Botany, Empire and the Birth of an Obsession, both by Andrea Wulf; Following in the Bartrams’ Footsteps: Contemporary Botanical Artists Explore the Bartrams’ Legacy, by the American Society of Botanical Artists; All the Presidents’ Gardens: Madison’s Cabbages to Kennedy’s Roses – How the White House Grounds Have Grown with America, by Marta McDowell; Gardens of Philadelphia and the Delaware Valley, by William M. Klein, Jr.; and Historic Houses of Philadelphia: A Tour of the Region’s Museum Homes, by Roger W. Moss. William Bartram also plays a role in Cold Mountain, the novel by Charles Frazier. John Bartram is mentioned in Jenny Uglow’s A Little History of British Gardening. This entry was posted in Gardens, History, Philadelphia, Travel. Bookmark the permalink. Lovely article Betsy! I appreciate such a varied and wonderful garden living here on the high desert of central Oregon where it is really hard to grow anything! I am trying. We have a little orchard of 15 fruit trees.